December 17, 2018 - Like us now! 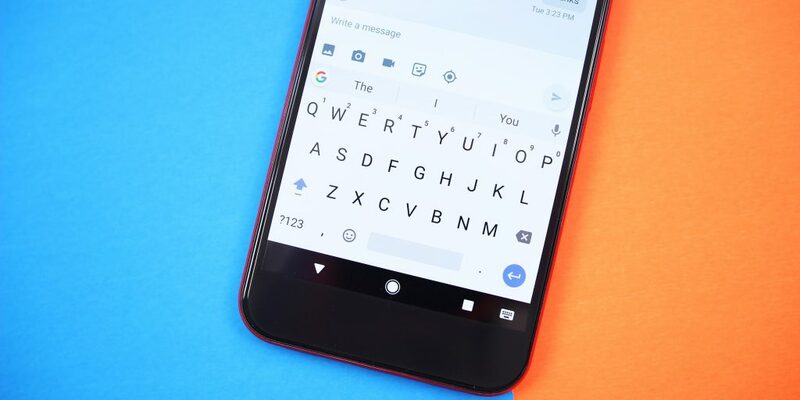 If you have signed up for the beta versions of Gboard, Google’s Keyboard for Android and iOS, you expect to see more themes in the upcoming Gboard Beta 7.8.8 update. 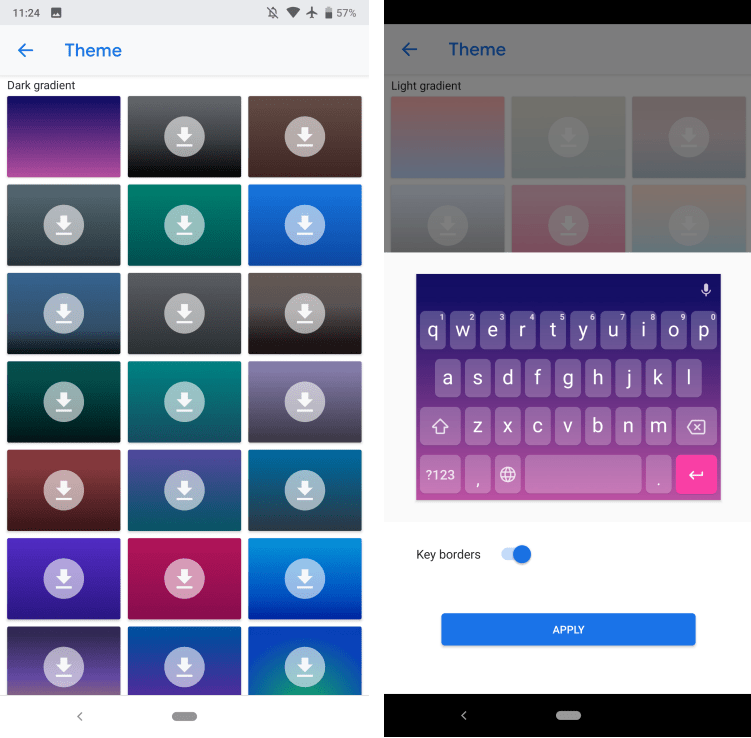 The Gboard app which offered themes based on colors and images will now offer gradient themes. Users will be able to choose from a variety of themes under the light and dark gradient themes. As the names imply, light gradient themes add more white and are lighter, while dark gradient themes add black and are darker. In total there are 25 light themes and 29 dark themes. 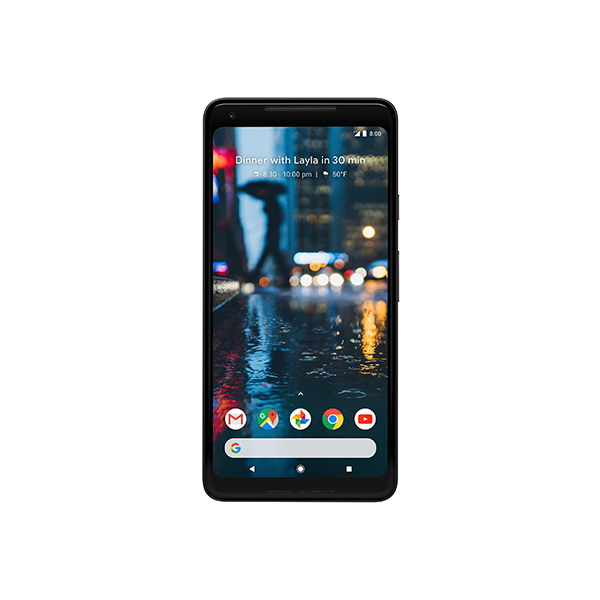 At the moment, the gradient keyboard only works with the standard Google Pixel 3. Other phones including the Pixel 3 XL are having a hard time with gradient themes in the Gboard beta app. But don’t worry, the feature will be rolling out to the mass public soon. We don’t when we can expect to see it for everyone but it shouldn’t be long before at least the beta starts supporting other mobile phones. 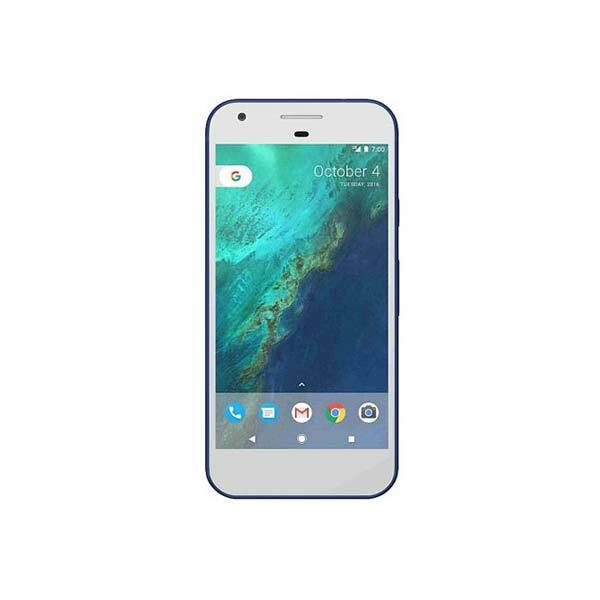 The Gboard keyboard is developed by Google and has various features that make it one of the best in class software keyboard. These include swipe typing, predictive text, making Google search directly from the keyboard and customization. Gradient themes will only expand the customization option and allow users to tweak their keyboard to their liking. To join the Gboard beta program then simply follow this link.